Danny Worker is the managing partner in the Chicago office of Lewis Brisbois and vice-chair of the Insurance Coverage and Bad Faith Litigation Practices. Since his admission to the Illinois bar in 1987, Mr. Worker has tried or arbitrated over 50 cases to verdict in Illinois, Kansas, and North Carolina. 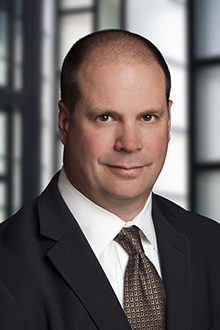 He has provided advice on liability and coverage questions to insurance and other corporate clients, resulting in over twenty reported appellate and supreme court decisions in Illinois, Ohio, and New Mexico. With this breadth and depth of knowledge in handling complex cases, Mr. Worker is uniquely positioned to provide legal counsel on a national basis in liability and coverage litigation. He has provided legal counsel to clients with coverage questions and liability in numerous different types of cases in over 27 states in his role as parachute or monitoring counsel. He has mediated cases to successful resolution in these various jurisdictions. The subject matter for these cases have involved issues of trademark, security fraud, antitrust, trucking, rail, premise, TCPA, FACTA, intentional torts, breach of contract, construction defect and injury cases. presenting complex questions of conflicting laws of multiple jurisdictions and federal statutes. Examples of the types of cases can be found here. Increasingly, clients have sought his advice as parachute counsel on high exposure or complex claims nearing arbitration or trial involving liability and bad faith claims. Recently, Mr. Worker was brought in after discovery was completed on a trucking case, construction injury case and insurance coverage suit involving coverage for a joint venture. Defended bad faith claims involving advertising injury claims, employment, excess judgments, farm and ranch, FELA, first-party property claims, joint ventures, motor vehicle accidents, product liability, property claims, environmental, construction defect, indemnity, intentional act, additional insured, landlord/tenant and personal injury offenses. Liability defense and coverage issues in defect and injury cases, involving multi-year construction projects; defective installation, delay damages, interpretation of contract law, consumer protection law, condominium law, punitive damages. Defense of motor vehicle, premises liability, construction defect, construction injury, agency, rail, breach of employment agreements, breach of contract. Defended claims and provided coverage analysis for motor vehicle cases, rail, FELA and aviation claims. Defended claims against not for profit entities, including both condominium boards and co-ops. Illinois Farmers Ins. Co. v. Weglarz, et al. [Schultz v. Illinois Farmers] – 237 Ill.2d 391, 930 N.E.2d 943 (2010) Consolidated appeal from the 1st District. Under review was whether the definition of “insured person” for purpose of UIM coverage violates public policy by eliminating passengers from coverage. In a case of first impression, the Illinois Supreme Court held that the narrow definition of “insured” for UIM claims was invalid, finding that occupants were included as covered persons under Illinois Financial Responsibility Law for liability coverage, and therefore required to be covered for UIM coverage. Petition for rehearing was denied. Secura Ins. Co. v. Illinois Farmers Ins. Co., 232 Ill.2d 209, 902 N.E.2d 662 (2009). Successful in the Illinois Supreme Court in having Appellate Court ruling overturned. Supreme Court held that the plaintiff’s appeal was not timely and dismissed the appeal. The court did not reach the issue of whether Farmers was required to provide omnibus coverage to employer of insured driver. State Farm v. Illinois Farmers Ins. Co., 226 Ill. 2d 395, 875 N.E.2d 1096 (2007). Successful in the Illinois Supreme Court and Appellate Court holding that Farmers’ step down clause reducing coverage to permissive driver was not violative of Illinois public policy and the Illinois Financial Responsibility Law. Case was remanded for resolution of other issues involving ambiguity. Supreme Court held Appellate Court had no jurisdiction to resolve those issues. Case remanded to trial court for remaining issues. Case dismissed by State Farm after remand. Illinois Farmers Ins. Co. v. Marchwiany, 222 Ill.2d 472, 856 N.E.2d 439 (2006). Successful in Illinois Supreme Court, Appellate Court and trial court on issue of anti-stacking provisions. The Illinois Supreme Court held the policy unambiguously restricted recovery for all damages, including the Survival Act and wrongful death claims, to the per-person limit in the underinsured-motorist coverage provisions. The language of the per-occurrence clause could not be construed to enlarge that coverage. Lee v. John Deere Ins. Co., 208 Ill.2d 38, 802 N.E.2d 774 (2003). Supreme Court reversed Appellate Court ruling in insured’s favor on whether the insurer’s failure to comply with the statutory requirement that it provide a space in its motor vehicle coverage application form for the applicant to indicate a decision to reject underinsured motorist coverage operated to impose underinsured motorist coverage in an amount equal to the bodily injury liability limits. The Supreme Court held that it did. Under the plain language of the statute, the insurer could not have lawfully issued the policy without uninsured/underinsured coverage equal to the bodily injury limits. As such, the form needed to be received by the carrier during the binder of coverage and before actual issuance of the policy. Reed v. Illinois Farmers Ins. Co., 188 Ill.2d 168, 720 N.E.2d 1052 (1999). Successful in Supreme Court holding challenged rejection clause in insurance policy did not violate public policy, and that the statute allowing such provisions was constitutional. Further, the uninsured motorist statute did not impair an existing contract, negating a contract clause claim or violate due process. Illinois Farmers Ins. Co. v. Cisco/Shane v. Illinois Farmers Ins. Co., 178 Ill.2d 386, 687 N.E.2d 807 (1997). Illinois Supreme Court affirmed Appellate Court in consolidated appeal on insured’s ability to collect additional uninsured motorist benefits. The Supreme Court held that the provision that conditioned uninsured motorist coverage on the availability of another party’s uninsured motorist coverage was contrary to the statute and was therefore void. Illinois Farmers Ins. Co. v. Robertson, (Ill. App. Ct. 5th Dist. 2011). The Fifth District Appellate Court affirmed the lower court’s finding of a defense obligation notwithstanding both Farmers and its insured’s mutual consent to cancel the policy before the date of loss. Illinois Farmers Ins. Co. v. Stukel, 956 N.E.2d 576 (3rd Dist. 2011). Appellate Court affirmed trial court’s grant of judgment on the pleadings for the insured seeking a finding that the policy language was not ambiguous as it confers coverage for bodily injury resulting from malicious prosecution while limiting coverage to injuries resulting from accidents and excluding injuries expected or intended by the insured. As such, the insurer was required to provide a defense. Mid-Century Ins. Co. v. Founders Ins. Co. (Berry), 404 Ill.App.3d 961, 936 N.E.2d 780 (1st Dist. 2010). Successful in Appellate Court and remanded for entry of order granting summary judgment to Mid-Century, finding that no coverage was owed when the insured had purchased a new policy from another carrier. Liberty Mutual Ins. Co. and Ritz-Carlton Water Tower v. Zurich Ins. Co., 402 Ill.App.3d 37, 930 N.E.2d 573 (1st Dist. 2010). Successful at trial court level on summary judgment after Zurich paid policy limits under Coverage L for coverage for “losses to guests’ property,” and Liberty Mutual claimed Zurich also owed coverage under policy’s Coverage A. Trial court granted summary judgment for Zurich finding coverage under Coverage A was excluded under policy’s “care, custody, or control” endorsement. Appellate Court affirmed, agreeing that coverage was excluded under Coverage A and that Zurich property paid limits under Coverage L, which specifically provided coverage for losses to guests’ property. Thomas Ryan v. Illinois Farmers Ins. Co., Petition for leave to appeal to Supreme Court denied. Appellate No. 1-08-0616 (2009 Ill. LEXIS 902). Successful at trial level on summary judgment as to insured’s entitlement to recover uninsured motorist benefits when he collected benefits under Municipal Benefit Code. Summary judgment also addressed coverage grant language regarding insured’s entitlement to recover from co-employee police officer. Illinois Farmers Ins. Co. v. Weglarz, Majchrowicz /Illinois Farmers Insurance Company v. Schulz / Smetana, No. 08-0458 and 08-0583 (consolidated). 387 Ill.App.3d 622, 901 N.E.2d 957 (1st Dist. 2009). Successful on summary judgment on Smetana and unsuccessful on summary judgment on Majchrowicz on issue of whether passenger in insured vehicle is entitled to underinsured motorist coverage where policy says underinsured motorist only for insured or family member. The court held uninsured/underinsured statute requires the coverage under each section must be same. Petition for leave to appeal the Illinois Supreme Court granted. Illinois Farmers Ins. Co. v. Kure, 364 Ill. App. 3d 395, 846 N.E.2d 644 (3d Dist. 2006). Successful in Appellate Court on duty to defend child’s intentional conduct. Court held no duty. However, Court held duty to defend parents because intentional act exclusion did not apply, as there were no allegations that the result was foreseeable from the parents’ allegedly negligent acts in supervision of child. Illinois Farmers Ins. Co. v. Hall, 363 Ill. App. 3d 989, 844 N.E.2d 973 (1st Dist. 2006). Successful in Appellate Court and case remanded for entry of order granting summary judgment on policy limits. The Court held that per-person coverage limits applied to a loss of consortium claim and that joint and several liability statute did not apply to arbitration regarding insurance coverage. DiCosola v. Bowman, 342 Ill. App. 3d 530, 794 N.E.2d 875 (1st Dist. 2003). Favorable ruling on issue of taxing expert fee against defendant under statute. Appellate Court remanded case for finding consistent with opinion that defendant not required to pay for plaintiff’s expert’s fee for evidence deposition. Court affirmed trial court’s ruling in plaintiff’s favor on admission of photograph into evidence. Martin v. Illinois Farmers Ins. Co., 318 Ill. App. 3d 751, 742 N.E.2d 848 (1st Dist. 2000). Successful in Appellate Court where trial court’s dismissal of complaint affirmed. Court held there was no gap in coverage between the benefits received by plaintiff, and the limits of underinsurance coverage specified in the insurance policies. Also, plaintiff failed to explain how either policy was ambiguous, so the anti-stacking provisions were enforceable as written. Zimmerman v. Illinois Farmers Ins. Co., 317 Ill. App. 3d 360, 739 N.E.2d 990 (2nd Dist. 2000). Successful in affirming trial court grant of summary judgment because the unambiguous language of the arbitration agreement required the parties to submit to arbitration the issue of payment under the insurance policy, including any offset for recovery from an underinsured driver. The unambiguous language of the arbitration award determined that issue. Machulis v. Illinois Farmers Ins. Co., 281 Ill. App. 3d 829, 667 N.E.2d 592 (1st Dist. 1996). Successful in having trial court dismissal affirmed. The Court found that the umbrella policy was intended only to protect the insureds against excess judgments, not for medical payments not covered by automobile policy. The insurer was entitled to dismissal of the insured’s action. Illinois Farmers Ins. Co. v. Puccinelli, 276 Ill. App. 3d 293, 657 N.E.2d 1062 (1st Dist. 1995). Successful in ruling that since the insurer was unable to participate in the tort trial due to conflicts of interest, the insurer was not bound by the jury’s verdict of negligence, and the insurer could relitigate the issues of the insured’s negligence or intentional conduct. So that the insurer could call and examine witnesses and demonstrate the victim was injured by the intentional acts of the insured, the grant of summary judgment was reversed, and the denial of the insurer’s cross-motion for summary judgment was affirmed, and the matter was remanded. The Court stated the insurer must be granted an opportunity to present evidence to prove the intentional acts exclusion under the policy. Final verdict in favor of insurer after remand. Vanek v. Illinois Farmers Ins. Co., 268 Ill. App. 3d 731, 644 N.E.2d 419 (2d Dist. 1994). Successful in upholding dismissal of complaint and excluding coverage for an excess uninsured motorist claim under personal automobile policy. Fire Ins. Exchange v. Lundahl, (Ill. Ct. App. 1st Dist. 2011). Successful in dismissing appeal for lack of standing and mootness of appeal due to insured’s discharged debt in bankruptcy. Hazelwood Logistics Center, LLC v. Illinois Union Ins. Co., Missouri Court of Appeals, Eastern District, Case No. ED105571: in a complex environmental insurance coverage case, the Missouri Court of Appeals affirmed summary judgment in favor of the insurer, finding the premises pollution liability policy did not provide coverage for payment of remediation costs for methane contamination at a landfill site because the pollution condition was created by the insureds’ remediation efforts and construction of an engineered cell on site to hold the trash, both of which occurred after the reverse retroactive date. Ill. Farmers Ins. Co. v. Hagenberg, 167 A.3d 1218 (D.C. 2017): The D.C. Court of Appeals reversed a district court ruling that the coverage limits of three car insurance policies could stack to allow an individual to recover up to three times the policies’ individual coverage limits. Keith Siegfried v. Farmers Ins. of Columbus, Inc., 187 Ohio App.3d 710, 933 N.E.2d 815 (9th Dist. 2010). Successful on the issue on whether the failure to file a particular form with the Department of Insurance should invalidate language that had been approved by the Department. The court held that the statute did not warrant such a drastic change in the contract between the parties and invalidating the policy language was therefore not an appropriate remedy. Hayes Lemmerz International Inc. v. ACE American Ins. Co., 619 F.3d 777 (7th Cir. 2010). Successful in upholding dismissal of complaint and lower court’s finding that the insurer, while obligated to reimburse the insured for reasonable expenses the insured incurred in defending the underlying tort action, the insurer had no duty to provide the insured with legal advice or advise the insured that its law firm was not defending the action properly. ACE Fire Underwriters Ins. Co. v. Romero, 831 F.3d 1285 (10th Cir. 2016). Appellate Court reversed the district court concluding that the tractor and the trailer involved in the auto accident were one vehicle and held that the policy unambiguously limited the available coverage to only $1 million per accident regardless of the number of covered autos involved.